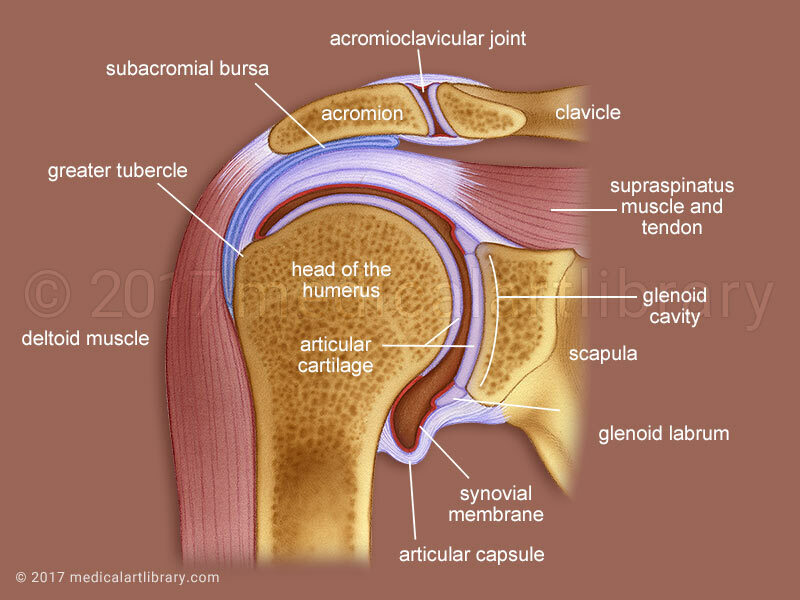 The glenohumeral or shoulder joint, is a ball and socket joint. 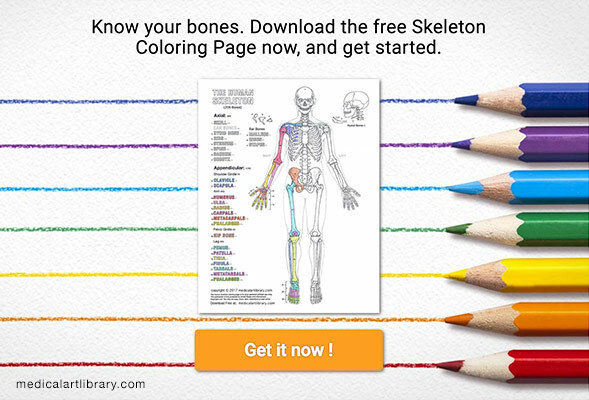 It is formed by the head of the humerus and the glenoid cavity of the scapula. Both are covered by articular cartilage and surrounded by a fibrous articular capsule. The glenoid cartilage thickens at the edge to form the fibrocartilaginous glenoid labrum, which deepens the glenoid cavity. The inside of the articular capsule is covered by a thin serous layer, the synovial membrane. 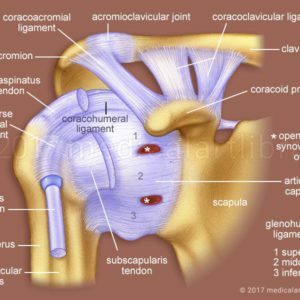 The subacromial bursa lies beneath the acromion on the superior surface of the articular capsule. 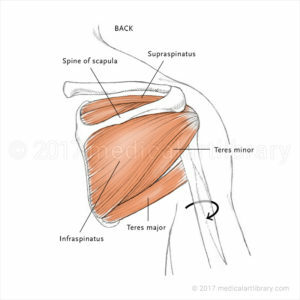 The supraspinatus is one of the rotator cuff muscles. It’s tendon crosses over and blends with the superior portion of the capsule and inserts on the greater tubercle of the humerus. 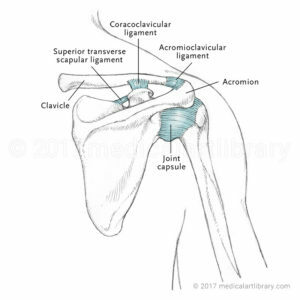 The clavicle articulates with the acromion to form the acromioclavicular joint.